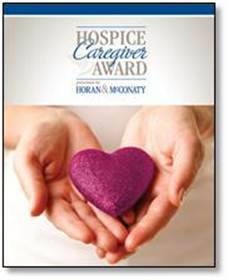 Kevin Samelson of Brookdale Hospice is the winner of the October Hospice Caregiver Award, presented by Horan & McConaty. Kevin was nominated by Susanne Young. Dame Cicely Saunders stated “We do all we can not only to help you die peacefully, but also to live until you die.” Kevin Samelson reminds us daily by not only being so caring, compassionate and competent but also by going that extra mile for each individual, all his patients experience Saunders vision. It is a privilege to have him on our team. I have booked him for my own departure. 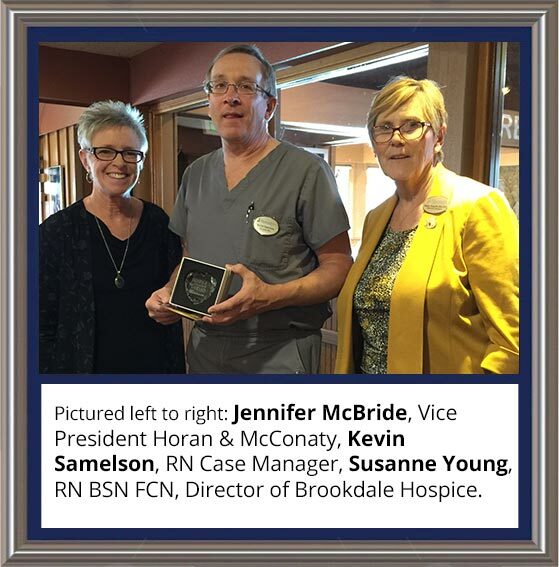 Thank you Kevin for your commitment to those you serve!